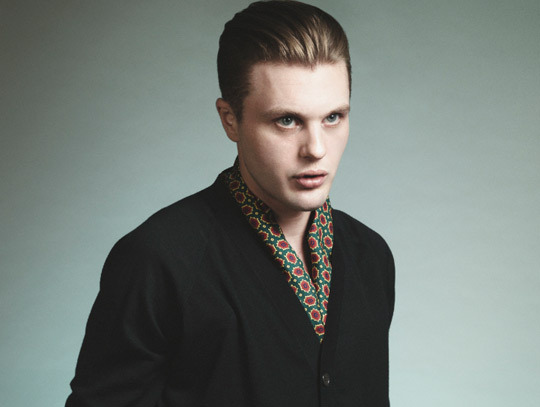 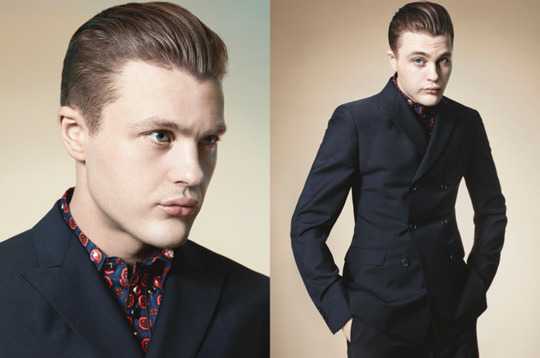 Prada Men Spring Summer 2012 advertising campaign has just released moments ago, actor Michael Pitt is the face of the campaign, photographed by the most prolific photographers in the industry, David Sims. 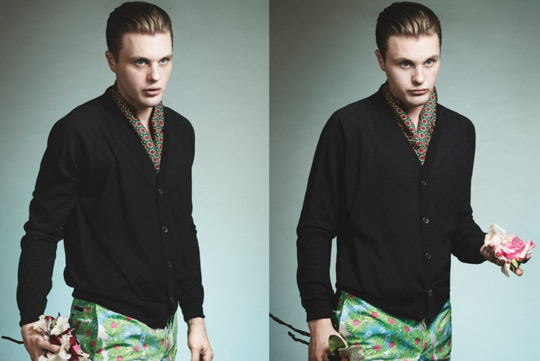 The campaign features some very fun prints, scarves and as well as sweaters and suits. 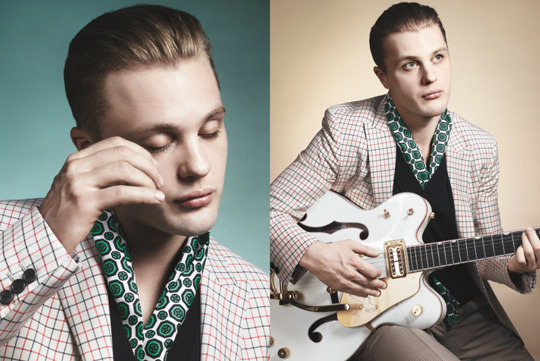 The clothing seems to have been very much inspired by the 1950's.